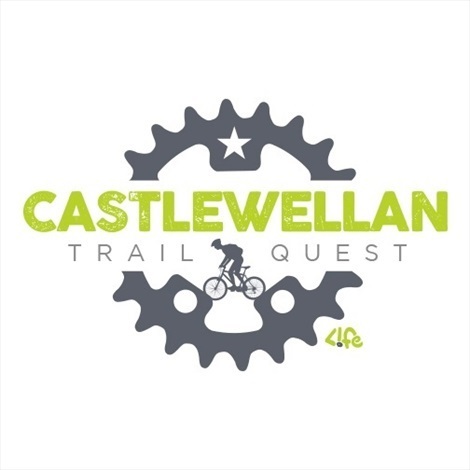 This fun yet challenging quest takes you around the Castlewellan MTB trails, alongside the stunning scenery of the surrounding Castlewellan Forest Park. The quest will give you the opportunity to test your MTB skills, as well as planning, navigation, and teamwork. A 2-hour maximum event, the Quest is suitable for Novice and Experienced cyclists alike, and you can enter as a Solo rider or a Team of any number (including families). For friends not questing (your team support), whilst not out and about spectating, the Life Adventure centre will be open with fire roaring and both fresh coffee and free Wifi flowing! 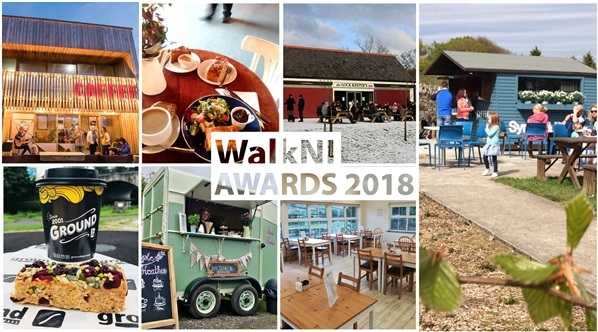 As a Quest participant you'll also get complimentary use of the trailside centre with changing/hot showers and access to the cosy coffee dock with free Wifi. Why not visit a new MTB trail centre that you’ve never been to before this Winter in Northern Ireland? Whether it’s one of the national trail centres like Rostrevor, regional centres such as Blessingbourne, or a local MTB facility like Tollymore, there’s plenty of mountain-biking opportunities to explore in Northern Ireland. 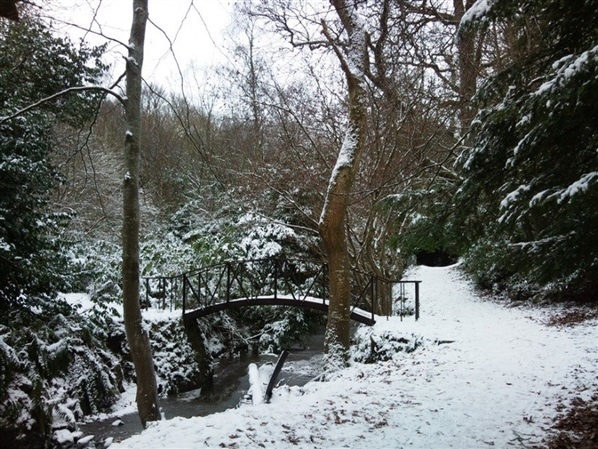 There’s also two brand new trails in Gosford Forest Park that are officially opening to the public in January 2019. Start the New Year off by exploring two brand new trails. Discover the wider Gosford Forest by following the Green or Blue graded family mountain bike trails, including optional technical sections, a Skills Loop and a Pump track. Check out the trails here! 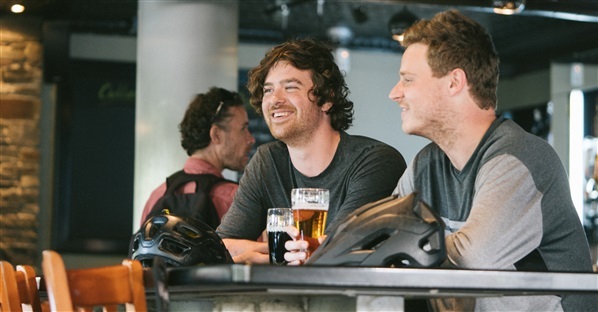 MountainBikeNI has a range of suggestions for food and drink options available here that are close to the three National MTB trail centres in Northern Ireland: Davagh, Rostrevor, and Castlewellan, alongside suggestions for accommodation if you want to stay over close to the trails. 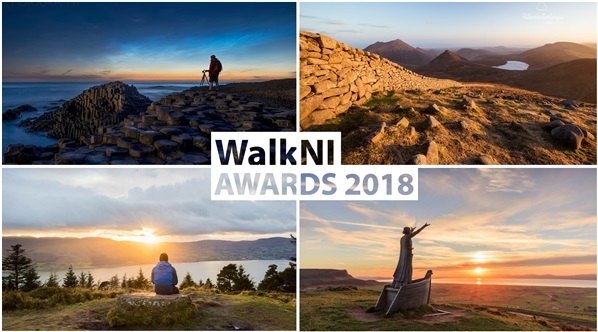 The MountainBikeNI Awards celebrate the very best of Mountain Biking in Northern Ireland. This year, MountainBikeNI has teamed up with official sponsors Chain Reaction Cycles to showcase all things great about Mountain Biking in Northern Ireland. 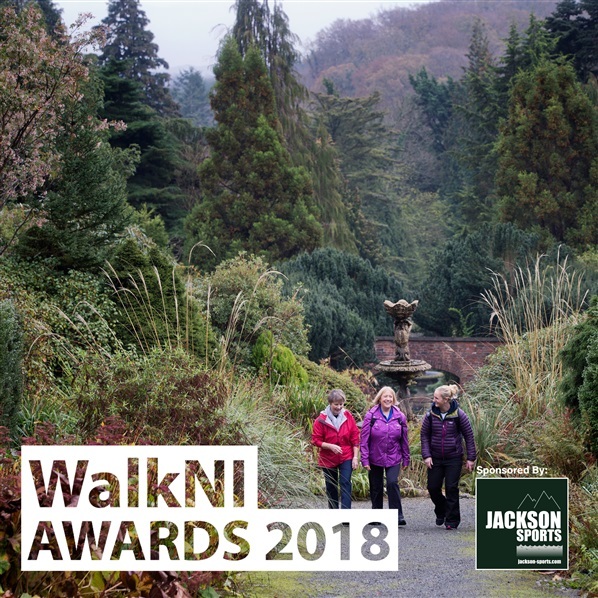 This year we have also included two brand new categories; “Best Squad Leader" which recognises the person in your group always hounding friends to get out on the bike; and “Trail Centre You’re Most Looking Forward to Riding”. 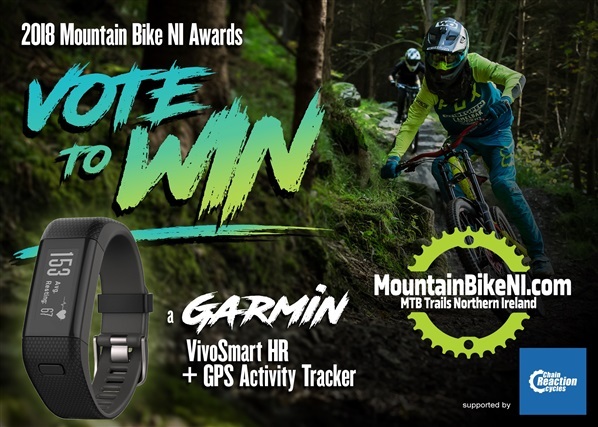 Vote here for your favourite MTB trail sections, favourite MTB cafes and accommodation, best MTB event of 2018 and more to be in with a chance of winning a Garmin VivoSmart Heart Rate and GPS Activity Tracker. 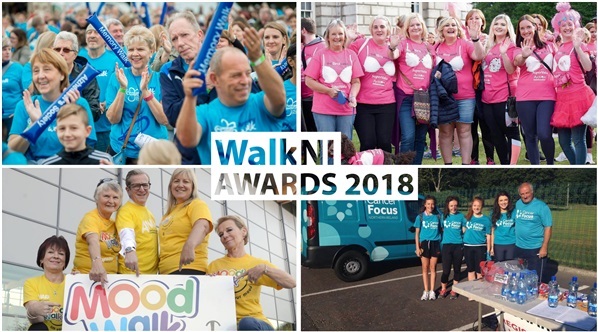 Voting closes at 11.59pm on Sunday 6th January. Good luck to everyone nominated! 5. 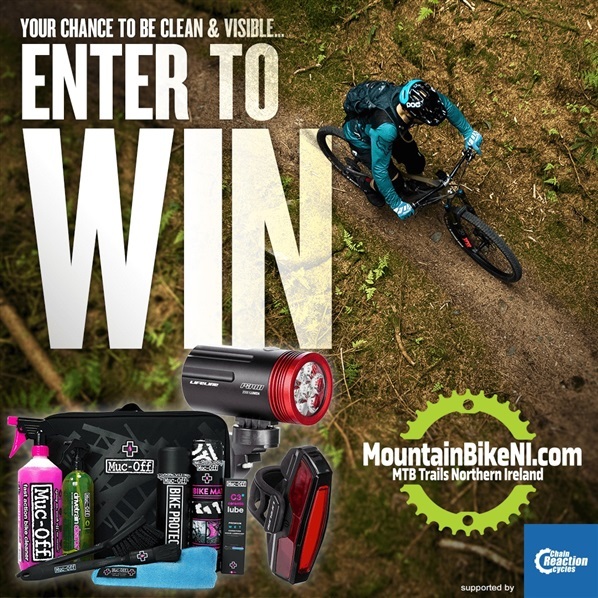 Enter MountainBikeNI’s competition to win this amazing prize! Win 3 Top Prizes from Chain Reaction Cycles! Fill in your details here to be in with a chance of winning a Muc-Off Premium 3 Step Valet Kit; a LifeLine Pavo 2000L Front Light, and a LifeLine Aero Beam 25 Lumen Rear Light. The winner will be selected on Monday 14th January at 12pm and will be contacted via email. 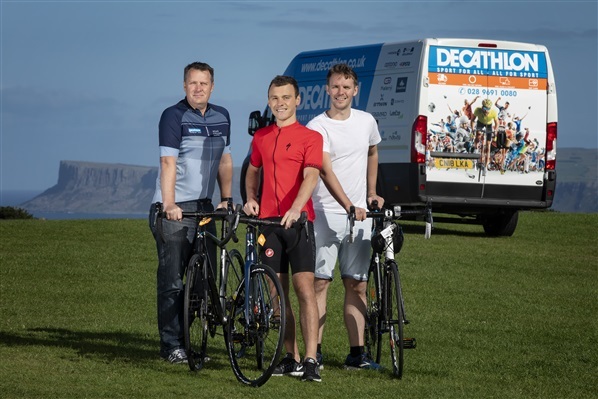 In the first of a series of upcoming interviews with our event sponsors, we sit down with the main event sponsor of the Giant’s Causeway Coast Sportive – Decathlon Belfast. These interviews are intended to help put a ‘face’ to the often-corporate branding, so that our participants know about the strong connection our sponsors have to cycling and the Sportive World. For Week 1, we sat down with Lee Aston, Belfast Cycles Department Manager from the store. Hi Lee, thanks for speaking to us! Would you mind telling us a bit about your role at Decathlon? Hi Ethan. 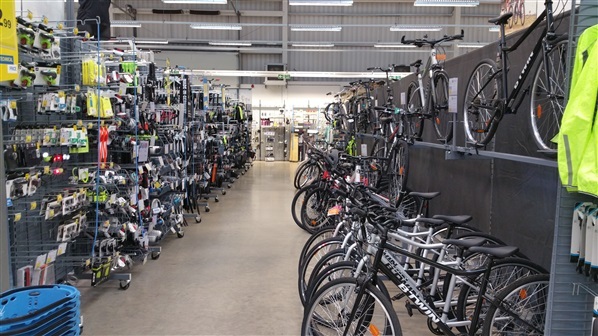 So, my role in Decathlon Belfast is that of the Cycles Department Manager. I've been working in the Belfast store for over 2 years now and have a keen interest in most forms of cycling, mostly road and MTB. My role varies from day to day - one day I could be building the countless number of bikes we get into store on a daily basis (especially now at Christmas time when building and selling never stops) or it could be dealing with customers wanting a cycle scheme which is run through their work place and helping them find the perfect bike. I also help out with the different store events we have and sometimes get to take part in them myself. So yeah, my day to day is never really the same if I'm honest. Sounds ideal for knowing about all things to do with a Sportive! What impressed yourselves about the Giant’s Causeway Coast Sportive / prompted you to get involved with it? What doesn't impress me is the better question! After taking part in the event last year, all be it a bit wet at the start, it was easy to see why it is so popular. The location, the people, how it's set up and the excellent food stops and service stations along the way make it extremely appealing to us as a store. 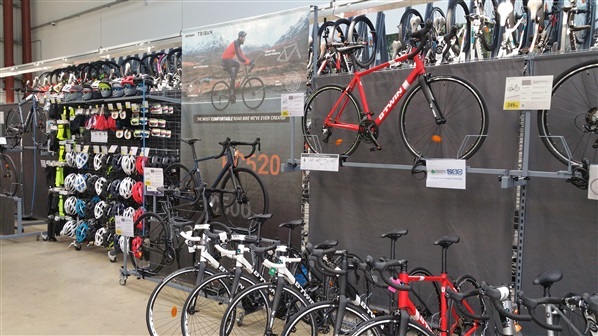 In store we have a large range of road bikes which suit a lot of those who take part in sportives and there is no better way to let people know we have these bikes than sponsor this massive event and spread the brand to all those who take part. Decathlon Belfast are offering an Early Bird Offer – could you tell us a bit about it? The Early Bird Offer consists of a brake and gear adjustment and a tyre and bolt check. Perfect to get the competitors bikes in tip top shape for whichever of the 4 routes they decide to take on. What else might people be interested in picking up when they call in store? If you're stocking up on your gels, co2 cannisters or multi-tools, Decathlon is the place to go. Have you taken part in the event yourself? If so, what was your favourite part? 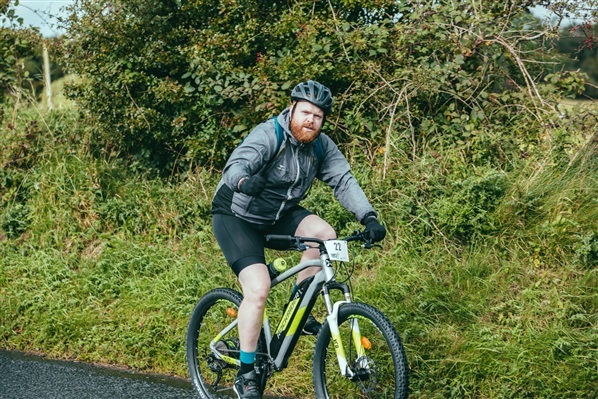 One of our photographer's snapped Lee during his route! Finally, Decathlon Belfast are also providing mechanical support at next year’s event. What does this involve for yourselves? This will involve myself and the team helping fix punctures, provide gear tune ups and bolt checks along with any other quick fixes we can do there and then to help competitors. We will be on the road in 3 different vehicles along with our support at the event HQ, so nobody has to worry if you get stuck half way round! You'll see plenty of Decathlon vans on the day as they respond to any problems riders may have on the course. Thanks for speaking to us Lee! People can find the Decathlon Belfast store on Facebook. RNLI Lifeboats has been proactively engaging with CanoeNI.com to share some basic top tips and kit recommendations to help paddlers stay safe whilst enjoying their paddling experience. Whilst the RNLI recognises many paddlers undertake plenty of training and ensure they carry all the relevant safety equipment, there has also been a significant increase in more casual users taking up the sport. 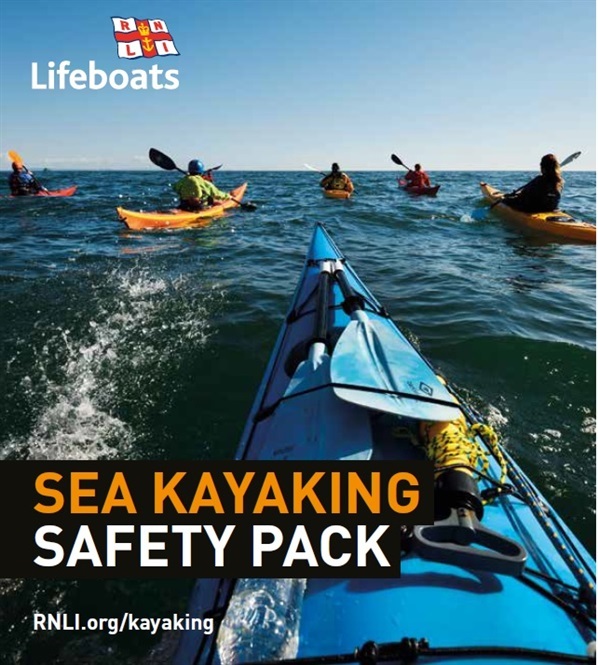 In addition to providing further information within this website, CanoeNI will be distributing copies of the ‘RNLI Sea Kayaking Safety Pack’ within all mail ordered copies of the Strangford Lough Canoe Trail Guide. Always carry a means of calling for help and keep it within reach: If it can't be reached in an emergency, it's no help. Tell someone where you’re going and when you'll be back. Wear appropriate clothing for the conditions and your trip.